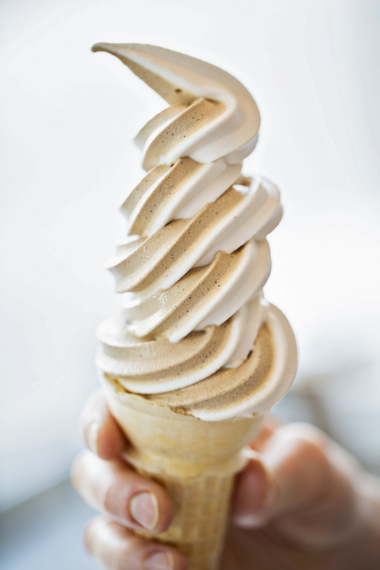 As summer heats up, we just want to chill out -- and what better way than with a deliciously sweet treat? Scoop up some sorbet, go for the gelato or get into all sorts of ice cream to find that perfect summer dessert for you. With so many cool options, you can beat the heat with frozen treats all summer long. Here are 9 sweets worth saving room for. 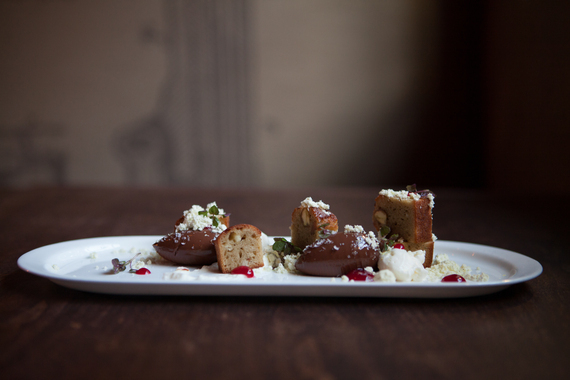 Photo provided by Osteria Morini. Photo by Anthony Jackson. 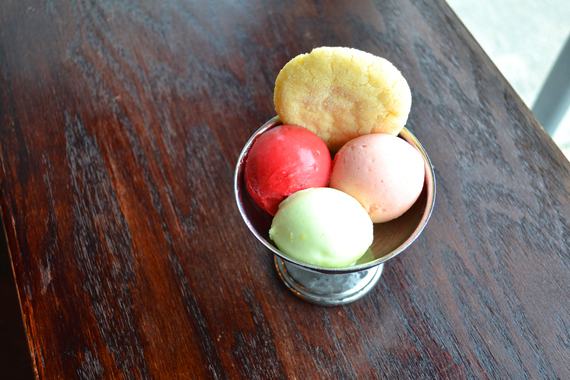 Bursts of color and flavor come together at Osteria Morini in NYC with their Gelati e Sorbetti in flavors like stracciatella, olive oil lemon, espresso vanilla, salted caramel strawberry and lemon basil. Photo provided by The Perennial. Sweetly tucked into a cone, the Nectarine Sorbet with chicory root toffee and vanilla tarragon at The Perennial in San Francisco is a delightful way to end a delicious meal. Photo provided by SRV. Photo by Morgan Ione Yeager. Three scoops is better than one at SRV in Boston, with flavors like vanilla bean, stracciatella, dark chocolate and mascarpone, for a cool and sweet treat. 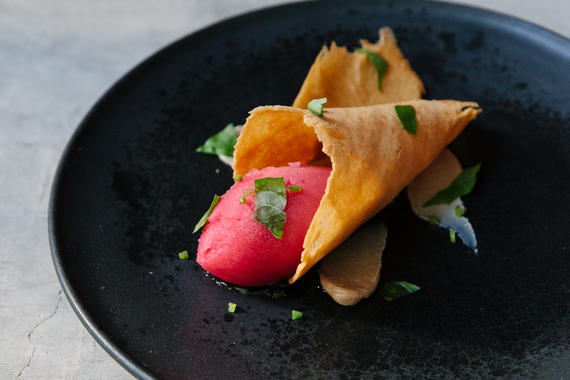 Dig into a rich twist on a cold dessert at Ela in Philadelphia, where toasted almond, ginger-macerated strawberry and rhubarb sorbet come together perfectly for an unforgettable end to a meal. 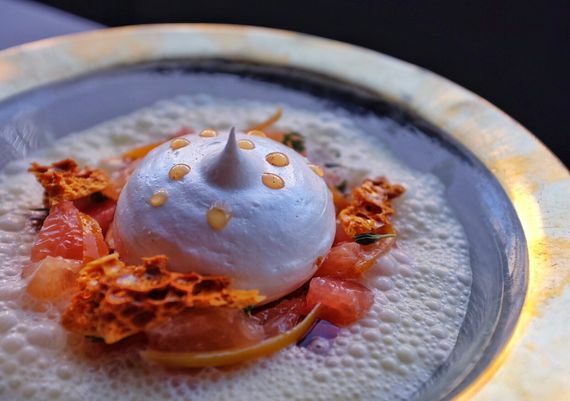 The Oeufs à la Neige ("snow eggs" in French) at Brindille in Chicago is made with refreshing ruby red grapefruit, thyme granité (a semi-frozen dessert made from sugar, water and different flavorings) and Aperol (an Italian aperitif made of bitter orange). 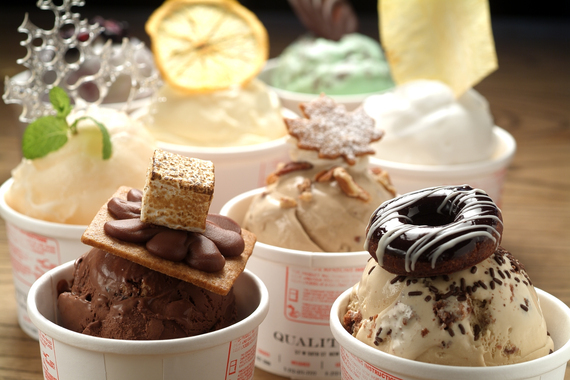 In NYC, Quality Meats' array of fun ice cream flavors, including burnt marshmallow, cookie monster, brown butter pecan pie, and coffee and donuts -- which can all be topped with chocolate, caramel or butterscotch sauce -- make it tough to decide which way you want to cool down. Southeast Asian-inspired Doi Moi in Washington D.C. churns out incredible soft serve ice cream -- available by the cone or cup -- in flavors that change weekly. Grill 23 & Bar knows how to do dessert right with its Caramel Profiteroles made with coffee ice cream and candied almonds -- an unbeatable way to beat the heat and get your sweet fix. 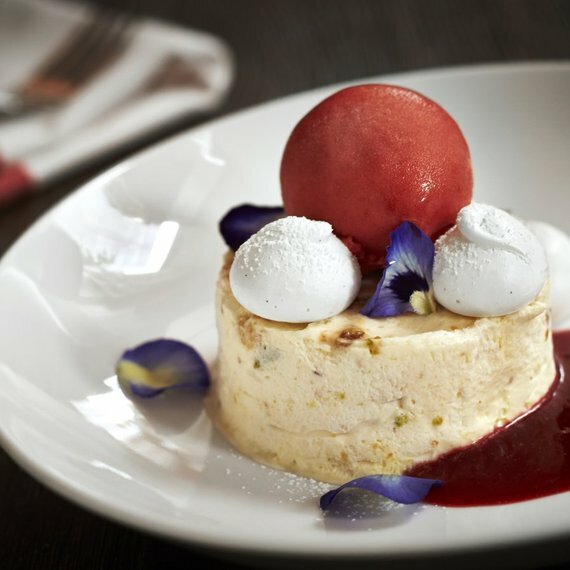 Casa Luca knows how to bring the heat in the kitchen and cool things down with lots of sweet dessert options, including a summer cherry cassata (fruity Italian sponge cake), tasty bomboloni (Sicilian doughnuts), plus a selection of homemade gelato and sorbeto.